Dr. R.H.Lakshmi, MBBS, MD, Dip.Diab. – Hariharan Diabetes & Heart Care Hospitals (P) Ltd.
Dr. R.H.Lakshmi, MBBS, MD, Dip.Diab. Dr. R.H.Lakshmi, MBBS, MD ( Internal Medicine ), Diploma in Diabetology, is the full-time Physician and Diabetologist of Hariharan Diabetes and Heart Care Hospitals. She is the associate director of Hariharan Institute of Diabetes and Consultant in charge of the multidisciplinary intensive care unit of the hospital. 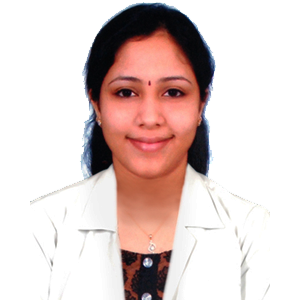 She has done her MBBS from Kilpauk Medical College in 2006, MD (Internal Medicine) from Sri Ramachandra Medical College, Chennai in 2010. She was the best outgoing student in her MD and was a gold medalist. She is a member of various councils and is a member of Thyroid society of India. She has authored many articles, case reports and textbook chapters in renowned medical journals. She is an active member of the Women’s Health Program and has taken part in many CMEs as a speaker and faculty. Her special interests are in the fields of Pregnancy Medicine, Thyroid disorder, and Infectious Diseases.